“What can I do to infuse life into these dull and boring compliance courses?” “What can I do to make employees progress instead of buckling under stress?” “How can I showcase legal compliance jargon in a fun way?” If these questions ever crossed your mind, then gamification is your answer. Gamification is a judicious blend of fun and instruction, making it ideal for training your employees on the various compliance rules, regulations, and policies. Before diving into how gamification can make your compliance training courses effective, let’s see what gamification exactly is. In short, gamification is the process of adding games or game-like elements to a training course. The primary purpose of gamification is to make an activity more engaging to the learners. Incorporating irrelevant games in courses doesn’t count as gamification. The games or game-like elements need to aid, motivate, and engage learners the right way. 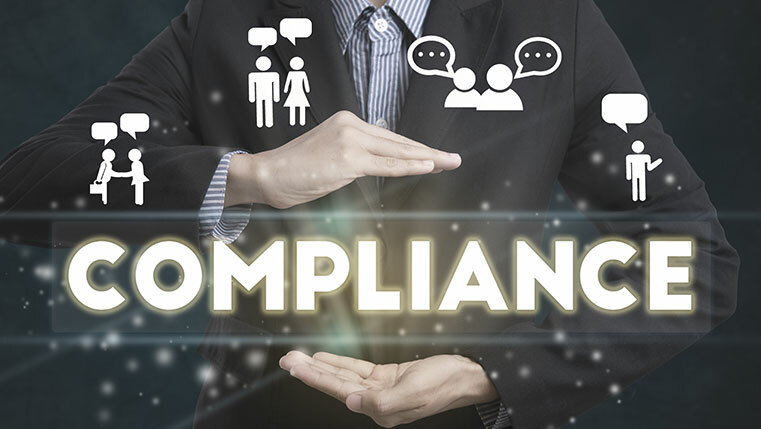 It is well known that compliance courses contain various rules and regulations, making them dry and boring to your employees. Adding game-like elements can help liven up the online compliance courses and engage your employees better. So, how exactly can you incorporate gamification in your compliance training courses? Scenarios are a popular way to help learners understand a situation. Compliance rules mainly contain information about the dos and the don’ts. These can be depicted effectively using mini game-based scenarios. For instance, let us take sexual harassment compliance training. A mini game-based scenario involving a couple or group of employees can be used to impart sexual harassment compliance training. The employees can actively interact and learn various compliance rules, including what comes under sexual harassment and what doesn’t. Some compliance trainings require incidence reporting training too. One such training is information security training. An office-based scenario can be used to impart information security compliance training. The employees can actively interact with the scenario and know what practices to avoid, the different kinds of threats involved in IT security, and what to do once a breach occurs. Quizzes can be a part of your gamified compliance courses. Once an employee completes a level or a scenario, he can be provided a quiz. The questions can assess his knowledge related to the course. Like it is said, self-assessment is the best assessment. Once your employee takes the quiz, he can assess his performance and motivate himself to perform well in the next quizzes. These not only help motivate employees but also help the organization track and assess their progress. Employees can be rewarded for successful completion of or progression through a course. Rewards can be anything from badges to points. For instance, once an employee completes a level of the course, he can be awarded 5 points; if he answers all the quiz questions correctly, he can be awarded a badge. These rewards create a healthy competitive environment among employees. These badges or rewards can also be shared on various social networking sites, motivating your employees further. Leaderboards can help motivate your employees learn better. Usually, there is a stipulated time frame in which employees have to complete the compliance courses. Employees who complete the course the fastest can be awarded a higher place in the leaderboard. Also, the employee with the most number of the correct answers in quizzes or other competitive games could rank at the top of the leaderboard. Depending on the need, various other gamification elements can be incorporated in your compliance courses. When it comes to online compliance training, gamification provides a judicious blend of fun and instruction, thus replacing “stress” with “progress” and “dull” with “fun”.